Which costume training is the right fit for you? A look at UK training. Which costume training is the right fit for you? Choosing where to train for a career in costume in theatre can be quite daunting; it is a lot of money and a chunk of time and you want to graduate knowing that you have the best chance of getting work in the industry. It can also be tricky to work out beforehand exactly what you want to do. You may see yourself as a costume maker. 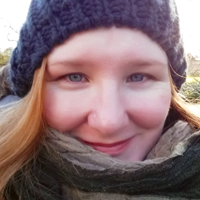 A course in costume will always involve sewing skills, but being able to alter costumes and make simple garments is not the same as being an expert maker who can turn their hand to anything – or a specialist cutter, tailor or milliner, for example. Do you want to learn to create the overall vision alongside the director as a costume designer and communicate that vision to the costume team? Do you want to get into wardrobe managing and dressing, working with actors backstage, looking after the costumes and ensuring they come back looking amazing the next day? Or will you be a costume supervisor, working with the designer to turn their ideas into garments, organising makers and handling the budget? Or all of the above? If your primary interest is costume making, a shorter course might be for you. For those who have some prior experience, Northern College of Costume has a 15-week, intensive costume-making course, which its former students evangelise over. Small class sizes mean a lot of attention to detail. The course covers pattern cutting and construction of menswear (with tailoring techniques), womenswear, period and contemporary garments including tricky fabrics and cuts such as 1930s bias dresses. Central Saint Martins runs short courses in costume making, as does Morley College. They specialise in the craft and usually you complete a garment at the end of the course. If you want a degree combining costume construction with other disciplines, there are many courses to choose from. Royal Central School of Speech and Drama’s costume construction degree course focuses on the costume maker as interpreter of the designer’s ideas. As many costume makers are working to a designer’s brief, learning to interpret designs and do relevant research into construction techniques is invaluable. Alongside construction skills, the course also teaches time management and budgeting (a boon for freelancers), and culminates in a costume supervising wardrobe managing role in the final year. There isn’t enough space here to list all the costume design-only courses or those in which costume design is taught alongside set design, but Cleveland College of Art and Design’s costume interpretation with design degree includes not only many construction techniques such as leatherwork, methodology and design interpretation, but also critical thought on design and communicating ideas as a costume designer. Other colleges that offer costume construction with design include the University of Huddersfield, Wimbledon College of Arts, Nottingham Trent University, Scarborough TEC and the University of Edinburgh. If a degree is too much to commit to, you can take a two-year foundation course. Bristol Old Vic Theatre School’s foundation degree in costume for theatre, TV and film covers costume construction and costume supervising, with additional specialist elements such as millinery. University of South Wales’ costume construction for screen and stage offers costume construction with additional elements such as live performance and surface embellishment and break-down techniques. Both have an option to complete a BA (hons) top-up year. Inchicore College’s costume design and make-up course covers period costume pattern cutting and corsetry, with additional specialism in make-up, mask making, wigs and hair. If your interest leans more towards costume supervising or wardrobe management, you need a vocational course that encompasses live performance. Rose Bruford’s costume production degree covers all the construction techniques, methodology and design interpretation with additional specialisms such as dyeing and break down, millinery and corsetry. But it also covers costume in performance, with students learning dressing, laundry maintenance, wardrobe managing, costume supervising and assisting. Producing shows in the second and third years gives the students practical experience of working on a show in real time. 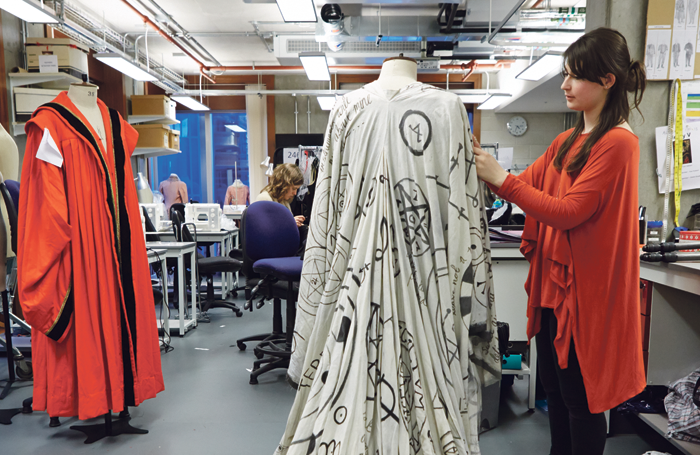 Guildhall School of Music and Drama’s technical theatre degree offers a costume pathway that covers costume construction and supervising and running shows. Other institutions offering costume construction with supervising and wardrobe roles include Arts University Bournemouth, where you can specialise in a number of different costume roles in the third year: design, interpretation or supervising. Royal Welsh College of Music and Drama’s design for performance degree covers costume but also building model boxes. If you are worried that you already have a degree but it did not give you sufficient costume experience, RADA offers a postgraduate diploma that covers costume construction, supervising and wardrobe managing. This is by no means a comprehensive list of all the courses available. You should do some internet research, request some prospectuses and take time to visit the campus. And if none of the above appeals, you can apply for a costume apprenticeship, run in many theatres in the UK, including the Royal Opera House and the National Theatre.